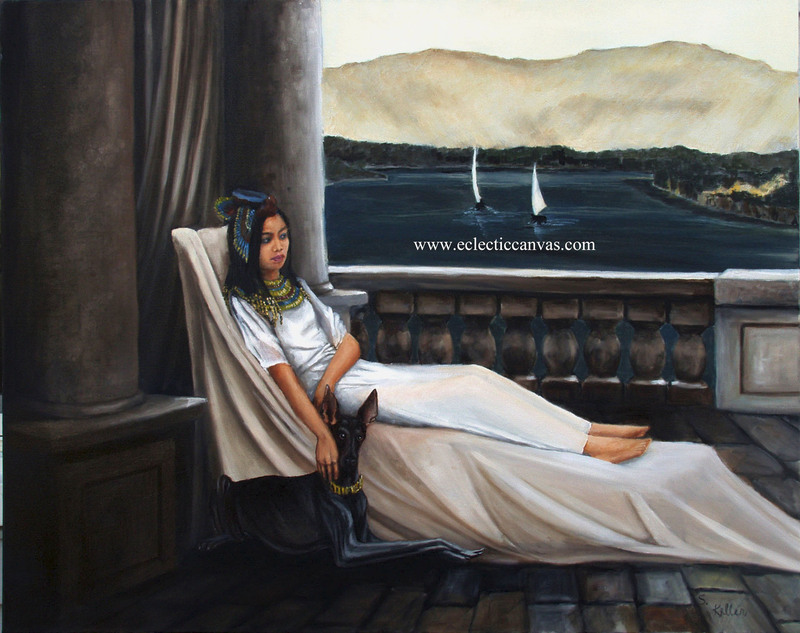 Cleopatra with Anubis, the asp couldn't be far away. What are you waiting for? This original painting is 30 X 24, oil on gallery-wrap canvas. The sides are two inches wide and painted to match the front painting. The painting lies flat when hung and requires no frame. The original is sold unframed.